I've written the odd book here and there. Here's a partial list of the books available in English - many of the books are also translated into other languages. Not by me though, that would be madness. Capturing a beautiful photograph isn’t magic. It isn’t even particularly difficult. You don’t need a fantastic camera or an expensive lens or a fancy flash. 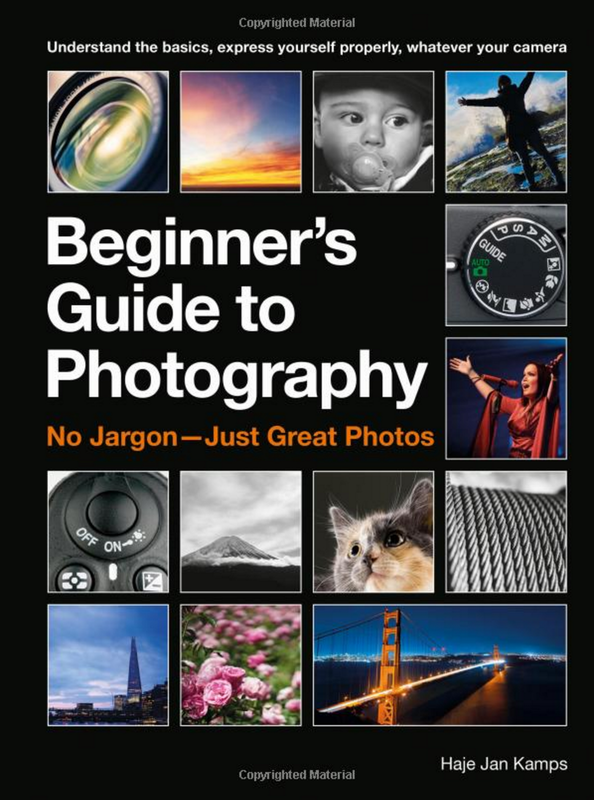 The purpose of this book isn’t to help you take photos. It’s to help you tell stories. That’s where the magic lives. Whether you’re photographing that perfect sunset or your morning coffee, everyone has a story and Why Photographers Prefer Cloudy Days (and 67 other photo tips) is full of tips and ideas so that you can tell your story in the best way possible. Remember, you miss 100% of the photos you don’t try to take. So get out there and get shooting. This book is available from Amazon. and Amazon.co.uk, too. Photography is a big part of our lives, and we all take photos all the time. By understanding just a few basics of how your camera — or your phone — works, you’ll find yourself able to take more exciting, stand-out photos. Within a few pages you’ll be able to speak with confidence to photographers about exposure settings, decide what lighting or lenses will lift a scene, or what tactics you can use to make your subject look more interesting. The book also covers the basics of managing, editing & sharing your collection of digital images so you’re not at the mercy of the software that was bundled with your phone. Wait, this is a book written by Matt Delito! What’s going on? Long story, which you can read here… Very short version: I wrote it under a pseudonym. Thieving ninjas, racist fast-food patrons, road traffic accidents, mischievous shoplifters, sudden deaths, car chases, and domestic violence — it’s all in a day’s work for London-based PC Matt Delito. Working at the front-line on the streets of London can be thrilling, frightening, rewarding, infuriating, and sometimes plain hilarious. In this eye-opening account of on-the-beat policing, Delito narrates some of his most interesting cases — from working undercover in a city club to being ambushed in the London riots — as well as taking us through the gadgets, procedures, and lingo that go with life at the other end of a 999 call. Over the course of a decade, the Ilex Photo team has won a deserved reputation as a world-beating publisher of practical titles for photographers. With The Ilex Introduction to Photography, and high-ranking photographer-blogger Haje Jan Kamps, the Ilex Photo team has made the definitive first book for owners of all cameras including compacts, DSLRs, smartphones and the new smart cameras. With easy-to- follow, sensationally shot projects, you’ll be encouraged to explore your camera and develop your creative confidence, so your pictures wow everyone. Families, kids, weddings, pets, landscapes, black- and-white, wildlife, urban, sport, panoramas, & living pictures whatever you want to photograph and however you want to display it, you’ll find everything you need to know in this book. You should be able to get a copy of the book from Amazon.com or Amazon.co.uk — Enjoy! Author Haje Jan Kamps knows that you are travelling for two good reasons: to experience great things, and to get great photos of your travels. He also understands very well how people’s eyes tend to glaze over when phrases like “Circles of Confusion” or the “Inverse Square Law” are brandished about, and focuses instead on great photographs, and how to take them. A realistic and easy-to-follow approach to travel photography puts the fun back into photography, and by following a series of simple exercises, you’ll learn much more about photography than you would have thought possible! Focus on Travel Photography covers the basics of photography in brief before throwing itself into the real essence of travel photography: landscapes, people, and capturing the spirit of your destination. Finally, the author explores how you can download, edit, and distribute your photos while you’re on the move-all without being over-burdened with equipment. Learn the essentials of travel photography through easy-to-follow exercises focused around great photographs. Discover how to capturing the spirit of your destination by capturing the quintessential shot that says it all! Experiment with somewhat more exotic forms of photography that you might encounter for the first time in your travels-capture wildlife, an underwater shot, and much more. In the age of social networking, a self-portrait will be the most important photo you ever take. This book will show you how to create images of yourself that capture your personality and express your creativity or just make you look hot! Shooting Yourself isn’t a technical book, but roams in search of inspiration for great self-portrait photos. A series of themed chapters (A Touch of Innocence, Turning the Drama to Eleven and Getting Saucy for instance) introduce a world of fresh, talented shooters whose great work depends on original ideas, not expensive equipment. The book then goes on to give you practical advice on location shooting, action shooting and photo-compositing plus toy cameras, and successful sexting (ooh!). Packed with fresh imagery, practical tips and accessible introductions to the principles of portrait photography, Shooting Yourself is a unique title in the category, and is certain to delight a new generation of digital photographers. Published in the UK as Shooting Yourself. Published in the US as Selfies. One of the most popular cameras on the market is called the “Digital Rebel,” yet many photographers use it and its brethren to follow tired old rules . This book shows you how to move beyond the dogma and shoot more creatively. If you’re just starting out with a camera, or are starting to think about switching away from Auto mode, then this is the perfect book for you. Not only will you find within all the classical rules of photography — useful basic knowledge that can sharpen anyone’s eye for finding great photographs — but you’ll simultaneously be shown how you can push the boundaries that many teachers set, filling your memory card with exciting, different pictures that push the limits. After all, unless you understand the confines of the box, you can’t consciously decide to think outside of it, can you? When it comes to cameras, E.V.I.L. is good! E.V.I.L. stands for Electronic-Viewfinder, Interchangeable-Lens–and it’s the most innovative, hottest, and stylish type of camera to hit the photography market in the past five years. Hip amateurs and professionals alike are snatching these cameras up, and this book is tailored specifically to today’s trend-setting users. Creative E.V.I.L. Photography highlights the unique advantages offered by these mirrorless cameras, including incredible image quality despite their small size, more discreet street shooting, and great HD video. 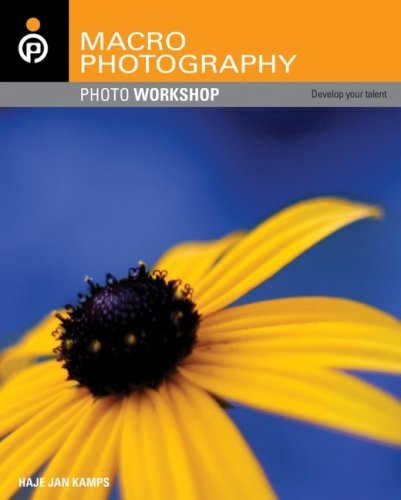 With this specialized guide in hand, photographers will easily exploit the unique characteristics of their new equipment. Everyone who takes photographs takes photographs of people. Whether it is a ‘happysnap’ of a child or a professional portrait, people are always the first subject we think of. Yet taking good photographs of people is a combination of many factors — what is the best light for the subject? How should they stand? What aperture should you use for maximum impact? In this easy to follow, highly visual guide to portraiture Haje Jan Kamps takes you through not only the technical but also the aesthetic considerations of creating great images. Step by step guides, tips from the pros and assignments to work through will have everybody you photograph looking better in no time at all! Packed with stunning photographs, everything about this beautiful book is aimed at a visual audience. Buy into the “Focus” series and put the focus right back where it belongs: on creating great images. It is a highly visual guide to the most popular subject — people. It includes tip boxes, summaries and assignments that make learning the techniques easier. It is not just a photo technique book, it offers advice on posing, backgrounds and lighting to make portraits stand out. ISBN: 978–0240814698 - You should be able to get a copy of the book from Amazon.com or Amazon.co.uk — Enjoy!